This new feature will work the way you might expect it to. Your Drop Down fields that are mapped to Reference Data will now show those choices when creating a dispatch through the web interface. Any dependent fields will auto-populate after making your choice, too. This will work on Loop screens, too. When I choose "Jane Doe" then subsequent fields auto-populate as expected! We recently redesigned our App Settings pages. We added the ability to see if a feature is turned on or off and we added toggle switches to turn a feature on or off if there are no additional settings for that feature. We hope this helps you quickly determine what features you are using for each of your GoCanvas Apps. Account>Customize Changed to "Account Settings"
We have changed the name of our "Customize" area to "Account Settings". This makes a lot more sense and will be easier for new customers to understand what they will find on this page. We have also redesigned this page to match what we did on the "App Settings" pages. 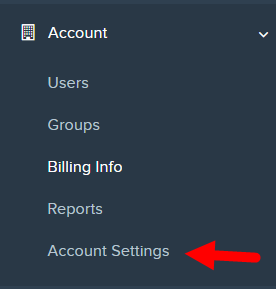 The Account Settings page now has the same design as our App Settings pages. You can easily see what settings are in use (On or Off). And we have added toggle switches for any settings that just need to be turned on and off and have no other settings associated with them. Visit our Community for any feedback!